The quality of microphones is getting better and better, so even if you buy a really cheap microphone, the sound quality will be quite decent, better than much more expensive microphones bought 10+ years ago. Before you buy your mic, you should know that there is a sweet spot where you get the best bang for the buck. After that point adding additional dollars to the price won’t improve quality that much. In many cases, you won’t see a difference. I assume, that if you just starting your youtube or music career you probably are on the budget and cannot afford a really expensive stuff. What you need is a microphone that is not expensive and is easy to setup. If you are not a tech guy, you probably want a USB model, so you don’t have to deal with DSLR cables and audio interfaces. One of the most popular and recommended brands of microphones is Blue, in particular, two models of this company: Blue Snowball and Blue Yeti. 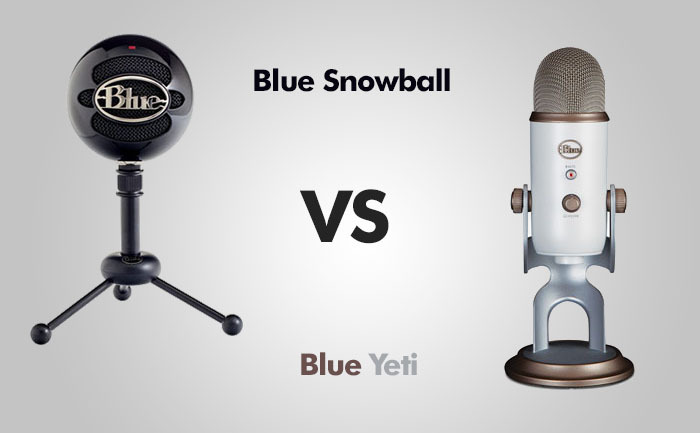 In this review, I will try to answer which of these two is better for your needs, whether the Snowball microphone is decent enough, or maybe you should invest in more expensive Yeti. Both microphones have completely different designs, but Blue tried to keep this kinda old-school/vintage look for both of them. The first thing to notice with the Blue Snowball mic is its design. It differs from any other that I’ve seen before, and it looks like …. a snowball. When using this microphone, what really pops out is a big Blue logo. At first, it looks like metal, but in reality, it’s just a chromed plastic. The stand of this microphone is an extended tripod. It doesn’t require too much space, so you can fold it and take with you on a trip. When using a tripod, remember to push the legs all the way down, or the mic will fall over a lot during recording. Additionally, the stand is equipped with the rubber grips to keep it securely placed and ensure that it doesn’t slip around. Another great thing about Snowball is that it weighs only 1 pound (460g), less than a half the Yeti. It comes in six different colors: white, bright orange, brushed aluminum, electric blue, gloss black, neon green. The Yeti microphone is an improvement over Snowball when it comes to a build quality. The stand and the mic are made of metal that is very durable. It weighs 2.2 lbs (1 kg), so it’s more than twice as heavy as Snowball. The greater weight of Yeti’s stand makes it more sturdy and solid than Snowball’s. It doesn’t wobble, so you won’t knock it down very easily. Similarly to Snowball, the Yeti design allows adjusting the microphone for different angles of voice projection. You can also turn it facing down when it’s not in use. It comes in one of seven colors: Blackout, Whiteout, Platinum, Vintage White, Silver, Midnight Blue, Space Gray. The sound quality is good. I don’t know any other microphone in this price range, where the audio quality is better than that of Snowball. I was more than happy when I heard the sound recorded with the Snowball mic. It’s clear, without being tiny or crispy. Just a great sound in the full range of frequencies. It’s really important that you don’t have to be very close to the microphone unless you whisper, but if you talk normally, the recorded sound should be fine. Just stay between 3 and 7 inches. The sound quality of Yeti is even better than that of Snowball. It has a great clarity that you would expect from much more expensive microphones. The sound recorded by Snowball is good, but the Yeti sound is clearer. It has a huge frequency response rate, between 20 Hz and 20 kHz. Most mics in this price range have response range between 50 Hz and 15 kHz. This makes a huge difference in depth, crispiness and the quality of the recorded sound. This microphone uses only two pattern modes, but there are three different settings you can use. That’s because the first two of them are cardioid and cardioid -10 dB. The third mode is omnidirectional. Setting 1 (cardioid): This mode is good for voice acting, singing, podcasting. Setting 2 (cardioid -10dB): This mode is useful if you have to deal with loud sound. It reduces microphone sensitivity, so the instruments and vocals come distortion free. Setting 3 (omnidirectional): In this mode, you can put it on the table, and the mic will pick up sound all around you. Yeti offers more features than Snowball. It has two knobs and a mute button. One knob is used to switch between pattern modes. You can choose from four different settings: cardioid, bidirectional, omnidirectional, stereo. The next knob is used to set the sensitivity of a microphone. It gives you a bigger control than simple Snowball cardioid -10dB switch. The last feature is the mute button. It flashes red when in use. You can press it if you want your microphone to stop recording for a while. This is indicated by a flashing red LED light. The last great feature that Yeti offers is the ability to connect your headphones. It has a headphone jack built into the mic. This feature is great for people who want to go live. When you have your headphones plugged into the mic, you can hear the sound without any delay. When choosing a microphone, you should check whether it meets your expectations, and by that, I don’t mean only the sound quality, but also what you are trying to record. 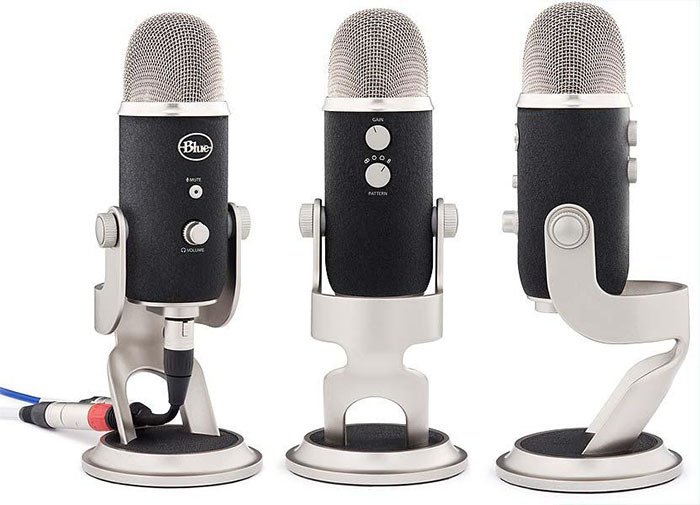 The Yeti microphone is more versatile than Snowball, you can use it almost everywhere, so the question is not whether one of these microphones is better, but rather, is Snowball good enough to get what you need for half the price. You can start recording right after you get your microphone into your hands. But there are some things you may consider to buy to make your work easier and more professional. You will notice that when you speak towards your microphone, you will often produce the “popping” sound caused by an impact of fast-moving air. To eliminate this problem, you can buy a pop filter with Yeti microphone in one package. If you’ve already bought a microphone, you can buy a pop filter separately. It works similarly to shock absorber in a car – it connects two parts elastically. With shock absorber vibrations won’t be a problem. The last thing that some people may find useful is an arm that lets you maneuver your microphone with ease. PROS: Good sound quality / Decent build quality / Retro feel / 3 audio settings / Metal stand / Light / Noise-cancellations. PROS: Great sound quality / Good build quality / 4 recording modes / Sensitivity control / Mute button / Nice oldschool look / Headphone jack. CONS: Some people have problems with noise-cancellation / You have to be close to the microphone / Obnoxious LED light / Microphone can be easily knocked down. CONS: Heavy / Mute button sometimes has to be pressed twice / Base takes some vibrations. Overall, both microphones are great and it’s hard to beat them in their price range. I recommend the Yeti microphone because of its superior recording quality, more solid stand, and versatility. 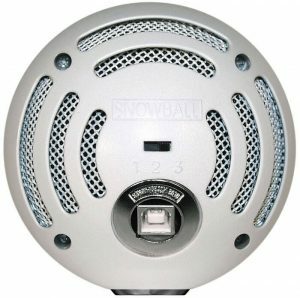 Snowball, despite being inferior to Yeti, is still a great mic, especially if a very high quality is not important for you, or if you just want to just use it for gaming and Skype talks.